This is an interesting question to ask "do I need a 4K upscaling Blu-ray player" because on one hand, your 4K TV is supposed to do the job nicely for you and will convert every signal you send it to 4K resolution. However, on the other, 4K TV is not that powerful honestly and in most cases, it might lose something when upscaling. As a consequence, you are not really enjoying 4K and in this case, a 4K upscaling Blu-ray player is very important. This post will lead you to check out for more details of 4K, 4K upscaling vs 4K Blu-ray player, and top-notch Blu-ray disc players with 4K upscaling. Based on what we know from Wiki, 4K resolution, also called 4K, refers to a horizontal display resolution of approximately 4,000 pixels. Digital television and digital cinematography commonly use several different 4K resolutions. In television and consumer media, 3840 × 2160 (4K UHD) is the dominant 4K standard. 4K features higher image definition quality, more detailed picture, better fast-action and larger projection surface visibility. It is the new norm for modern TV. From the blow pic, you can see different definitions from TV screen. This may better explain the 4K in real life. Upscaling converts low resolution material (most often video or images) into a higher definition. This brings upscaling Blu-ray player to our life which is capable of upscaling a low resolution content to a higher definition for enjoyment. That is to say, upscaling ensures that by optimizing your image across your whole screen, you have the best quality possible even if the original content is in lower definition. When you buy the best Blu-ray player with 4K upscaling, you can make sure that you get the absolute most out of everything that you watch. This intrigues people’s attention a lot so 4K upscaling is quite popular nowadays. Finally we get to the point "do I really need a 4K upscaling Blu-ray player". There have already existed many good 4K Blu-ray player programs in the market. As we have mentioned above, a 4K upscaling Blu-ray player is essential if you wish to enjoy higher definition content. 4K is taking the market by storm and it is trending for both TVs and other media players. 4K upscaling Blu-ray player supports upscaling and effectively stretching the image across the entire screen. The best scalers can create an image with much greater apparent detail and lower noise than the normal players. It is common to see that the HD images is so detailed and real that the audience almost cannot tell that it’s from real 4K content. Therefore, here I will recommend 3 best 4K upscaling Blu-ray players to you in order to enjoy the most out of your 4k contents. Note that these Blu-ray disc players with 4K upscaling are able to deliver the cinematic movie experience and hope you will find the fun in them. To make your buying decision easier, browse our pick of the best 4K upscaling Blu-ray players here. Needless to say, a qualified 4K upscaling Blu-ray player is extremely important for users to enjoy 4K content freely. Leawo Blu-ray Player is such as great player that it includes all media playback solutions you need for your leisure entertainment. It acts as free Blu-ray disc player, free DVD disc player, free HD video player (free 4K video player), free ISO file player, and free audio player (free music player). It is free for users to play Blu-ray discs, and downward compatible with DVD discs playback, no matter they are commercial or regular. 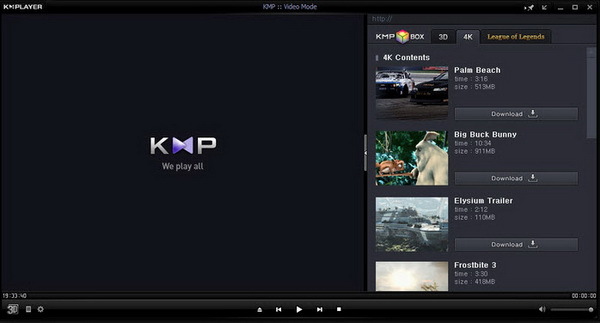 Moreover, it gives users full control over user-oriented playback options. By the way, it delivers quality-lossless video images with resolution of 720P, 1080P, 1080i and 4K (2160P). That is to say, together with 4K content and a 4K display, you could download Windows/Mac Blu-ray player freeware to get Ultra HD movie experience at home. Think about it! How fun it could be for a cinema-like movie experience at home! Panasonic DMP-BDT360 is such a device that can fulfill your 4K upscaling needs. It features a variety of functions, such as it is able to up-convert Blu-ray to 4K ultra HD equivalent, convert 2D to 3D, let users enjoy sports, games and multi-media via built-in WiFi and it allows users to easily view the smartphone/tablet content with Miracast. It is a good option as a 4K upscaling player though it does cost you some extra money. Pay for it if you like its performance. Well, you will get more "impressed" by its price than its performance. It is more expensive than any of Panasonic, Sony and LG’s latest UHD decks and to be honest, it is totally beyond average’s budget. I mean 4K upscaling player is truly worth 500 dollars? Some may say yes. Right, it is a superior device than many other players in the same category. Look at its features, capable of providing dazzling 4K HDR pictures, hassle-free setup and easy ‘one remote’ operation and so on. No doubt it is a fancy Blu-ray disc player with 4k upscaling. Check your wallet before you give it a shot! If you are under budget, I think the best 4K alternative for free is definitely Leawo Blu-ray Player. This does not mean that you will compromise on quality. Instead, you will get the most out of your 4K contents with this best Blu-ray player. Most important of all, it is extremely handy to use and it is totally free. Here I will show you how to run this player for your movie enjoyment. Step 1. 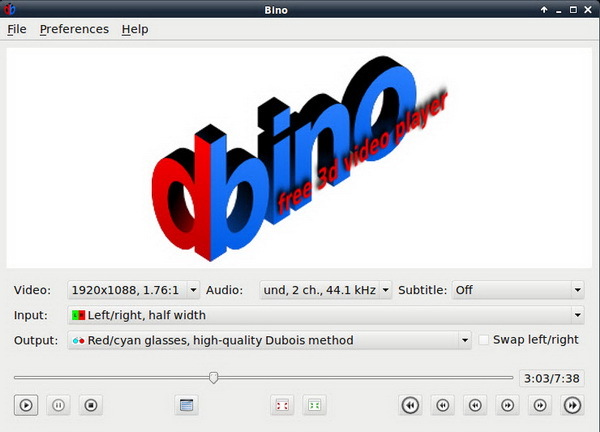 Download and install the Blu-ray player on your PC. Click the button below to install the program. It will finish in just a few minutes. If you are Mac user, remember to install the Mac version. Step 2. 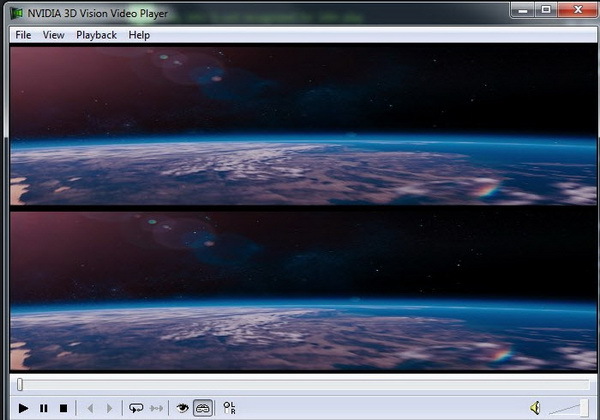 Launch the player and open the movie in your disk. When you launch the player, you will see a green icon on the home page. Click on it to navigate to the folder for loading the movie file. Step 3. Select the movie from the playlist to play. When your loading is done, the movie will be shown on the right pane playlist. Click on the target item to play. Note that if you accidentally load the wrong movie, you can click to delete it from your list. Also, you are free to prioritize their playback sequence by moving it up and down. Another interesting feature is that during your playback, it is okay to take any screenshot, which is very user-friendly. This can be done with the screenshot snapper built in. 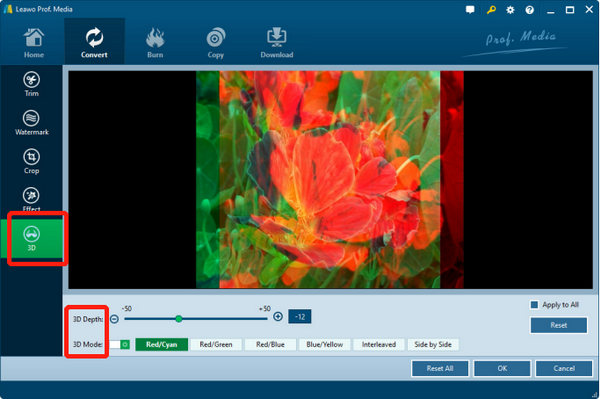 With it, Leawo free Blu-ray Player software enables you to take screenshots during movie playback anytime you like and save in either JPG, PNG or BMP format. Step 4. This step is optional depending on users’ preference. From the home page, you can click on the setting icon to enter the settings page, where you will see a panel with multiple options to set accordingly. If you need to upscale your video, click on the Video scaling method menu to fulfill the job. You can also perform other settings like subtitle, audio, and view mode from here. If you want to learn more about the settings, you can check the playback settings post explaining about how to set Leawo Blu-ray Player. Step 5. When all settings are done, you can enjoy the movie just like what you enjoy in a cinema. Have fun and enjoy. 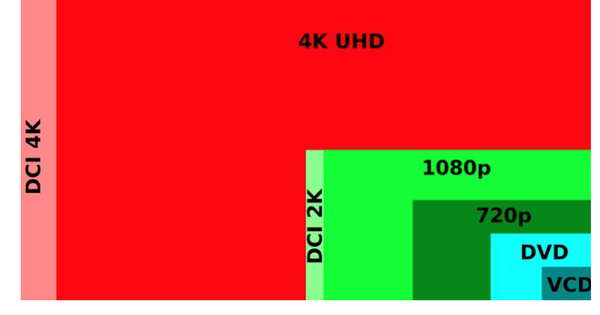 From the above illustration, you may now have a better understanding of 4K, 4K upscaling Blu-ray player, what it can do to let you enjoy 4k out of lower definition contents, and some recommended top-ranked 4K upscaling Blu-ray players. These are fundamental for you to decide whether you need a 4K upscaling Blu-ray player. 4K is a dominant factor in today’s TV market as well as other media devices, leading to growing demands in 4K upscaling service. However, it is a shame that some 4K contents are just 4K in disguise and we are desperate for upscaling devices to scale up the lower definition contents to higher definition contents for genuine 4K experience. Luckily, we have quite many options for us to choose for upscaling 4K contents, among which Leawo Blu-ray Player is truly the best choice. 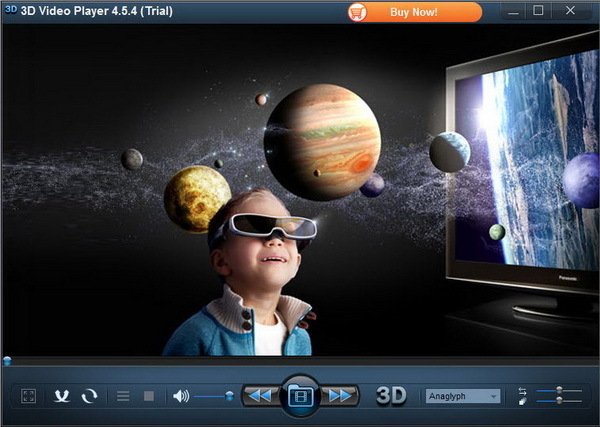 It is totally free and it provides users with abundant features to make their movie experience more enjoyable and cinema-like. It is capable of fulfilling the 4K upscaling for users and make sure what users are watching are 4K indeed. Panasonic and Samsung devices are also not bad but they require extra money for the upscaling. You may try on your own to see whether the money justifies itself.